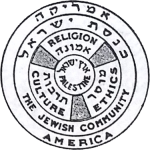 The essay, “Prayer,” by Rabbi Dr. Abraham Joshua Heschel, then Associate Professor of Jewish Philosophy at Hebrew Union College, published in Review of Religion vol. 9 no. 2, January 1945. . . . Rabbi Dr. Abraham Joshua Heschel’s speech, “On Prayer,” delivered at an inter-religious convocation held under the auspices of the U.S. Liturgical Conference in Milwaukee, Wisconsin, on August 28, 1969. His talk was printed in the journal Conservative Judaism v.25:1 Fall 1970, p.1-12. . . .